Printing Your Legal Ed CLE Certificate | Attorneys' Title Guaranty Fund, Inc.
After completing a program, you must confirm your attendance. Go to your Homepage, find the listing for the program you completed, and click "Survey." Complete the form and click "Done." Go to Attendance Records and click the gear icon on the row for your program, then "Print Certificate" in the popup that opens. 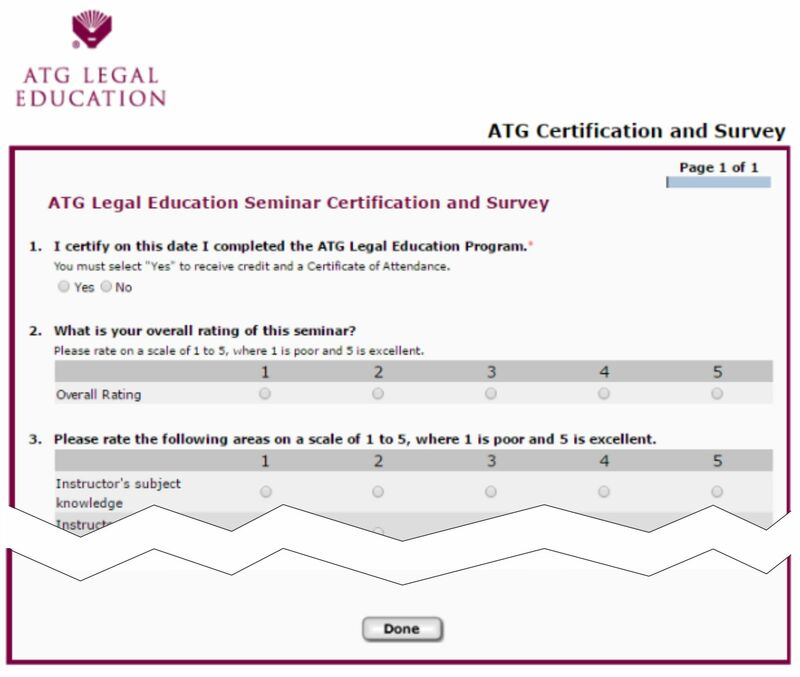 You may need to set a popup exception for http://atglegaled.elogiclearning.com in your browser (see instructions). You will now see your Certificate. Click the Print tab at the top left to either save a PDF of your certificate to your computer or print a hard copy.